Berkey Water systems have become the leader in home water purification. Berkey systems can easily purify ordinary tap water, or even raw, untreated water from remote lakes and streams without the use of electricity. Berkey removes Bacteria, Viruses, Chlorine, Pesticides, Herbicides, Fluoride, and other unhealthy Contaminants without removing the beneficial and nutritional minerals needed to support a healthy body and mind. The cost of water purification is just about two cents per gallon. Many water filters on the market may claim to be a water purifier, but do not meet the performance specifications required for this classification. To be classified as a water purifier, a water treatment device must remove at least 99.9999% of pathogenic bacteria and reduce viruses by 99.99%. The Black Berkey Purification Elements can be classified as water purifiers because they remove 99.9999999% of pathogenic bacteria and 99.999% of viruses, which significantly exceeds the standard. The Black Berkey Purification Element formulation has been tested by State and EPA accredited laboratories to exceed NSF/ANSI Standard 53. 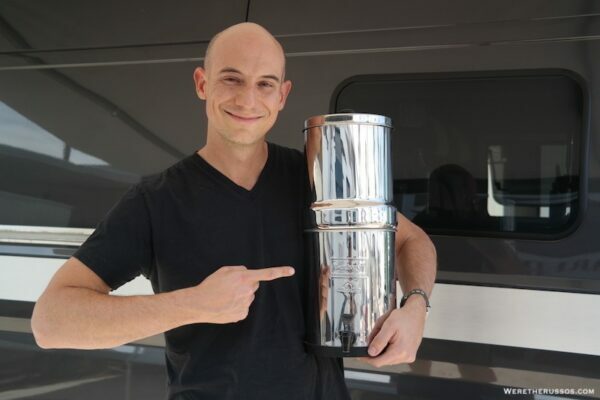 Berkey water filter systems are far superior to other filtration systems because they remove harmful pathogenic bacteria, cysts, parasites, and unhealthy chemical contaminants such as Chlorine to levels higher than 99.99%, while at the same time leaving in the essential minerals your body needs. Did you know that over 60% of US municipal water is fluoridated? Berkey water filter systems also distinguish themselves from many other filtration systems by having the capabilities to significantly reduce fluoride and arsenic via the “PF” line of filters. 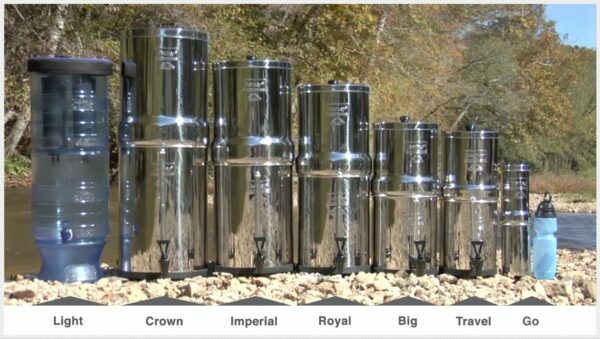 Each durable Black Berkey Water filter will last up to 3000 gallons (6000 gallons per set of 2). This is much longer than the majority of water filter solutions on the market. 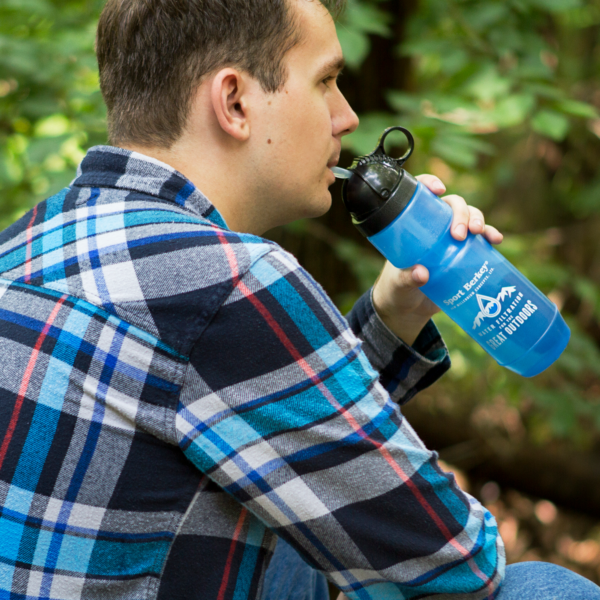 At 10 gallons per week, this equates to more than 11.5 years of healthy clean drinking water! Including fluoride and arsenic reduction, 1 gallon of Berkey water costs just 7 cents!. Stop and think how much money you could save by the simple reduction in bottled water purchases by regularly using water filtered by your Berkey water filter. systems are capable of purifying both treated water (municipal/city water) and untreated raw water from such sources as remote lakes, streams, stagnant ponds, and water supplies in foreign countries. The micro-pores within the self-sterilizing and re-cleanable Black Berkey water filter purification elements are so small that pathogenic bacteria are simply not able to pass through them. Due to the fact that the Berkey water filters do not require electricity and are portable, they become a lifesaver during times of flooding, loss of electricity, and other life threatening emergencies. Receive Special Offers and Updates. Plus, Get 10% Off your First Order.